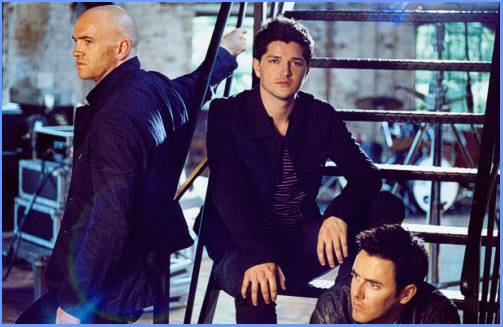 The Script, originally a four piece but now a three piece male pop/rock band from the city of Dublin, Ireland includes members Danny O’Donoghue on lead vocals and keyboard, Mark Sheehan on guitar and vocals and Glen Power on drums and vocals. Formed firstly in 1996 as a band called ‘My Town’, their influences include the likes of The Police, Van Morrison, U2 and others contributing to their unique sound and musical style. Currently they are based in London, UK and signed to the RCA Label Group imprint Phonogenic. Songs written by The Script are well constructed with deep and meaningful lyrics and include songs such as their debut single “We Cry” which did well by cracking the top 20 in the UK Singles Chart in 2008. Other popular hits and singles by them include “The Man Who Can’t Be Moved” and “Break Even”, keep an ear out for their up-coming single not yet released at the time of writing named “Talk You Down”, scheduled for release in March 2009. 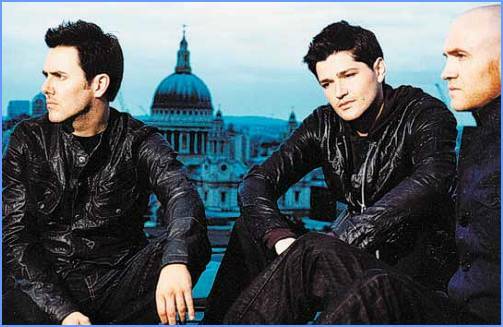 At the end of 2008 they received an award for best selling Irish act of the year at the World Music Awards. Their official band website will give you more information on this hot new pop/rock outfit who seem destined to go from one success to the next judging by the quality of their unique sound and obvious musical talents. You can also get access to their Facebook fan page, MySpace profile, iTunes, Bebo and lots more pictures and information on the trio. We’re not accustomed to writing information on, or the biography of up-coming talents but we certainly feel that The Script are destined to become “A Band Who Can’t Be Moved”.